Congratulations, Graduates of the Parenting Partners 2018 Session! 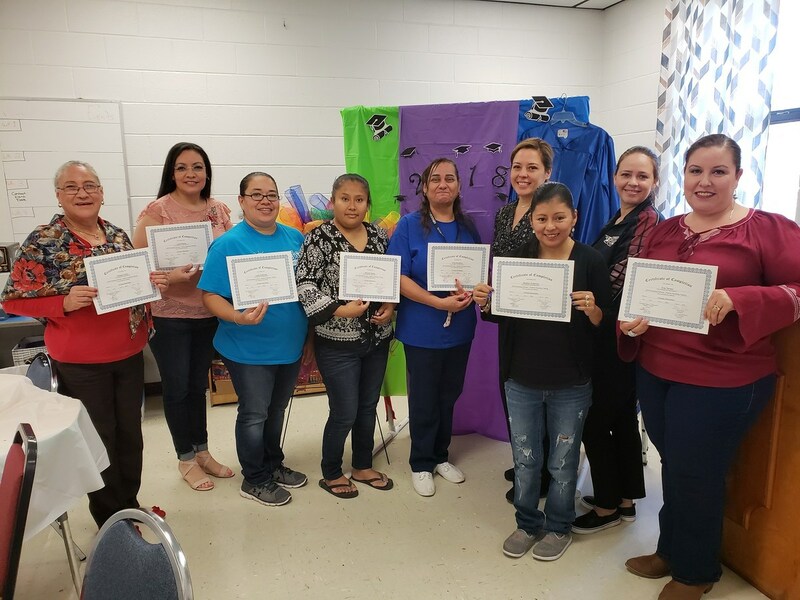 These parents attended a total of 7 workshops lead by our very own teachers Mrs. Gloria Flores and Anna Hutchins, in which they received practical tools for positive parenting. Topics included best practices in parent engagement, helping create a positive identity in young people, powerful listenting strategies, establishing conflict-free routines parent roles in Family-School relationships and how the success in school starts at home. Graduates from L-R are: Rafaela Cantu, Lucia Garza, Lydia Espinoza, Brenda Garcia, Irma Anzaldua, Martha Gutierrez, Eva Tamez. (Not Pictured: Michelle Galindo and Jose Galindo).